Develop better relationships with your clients by letting them decide how to communicate with you and when. Quickly transform your customer service by improving agent productivity, client engagement and real-time transaction visibility. Reduce operational costs with a simplified system which enables fewer support and administration staff to achieve your organisations goals. Above from left: Click to call webrtc, agent interface, chat & AI service bot. A complete blended omni-channel inbound / outbound solution from a single supplier, reducing your operational costs and admin overhead. Up to 85% of your customer service requests can be completed by a chatbot, 24 hours a day. This will improve client engagement and reduce your operational costs. No need to retire your existing PBX or call centre system. We can send high quality, encrypted SIP VoIP phone calls from your website to your existing systems using easily. 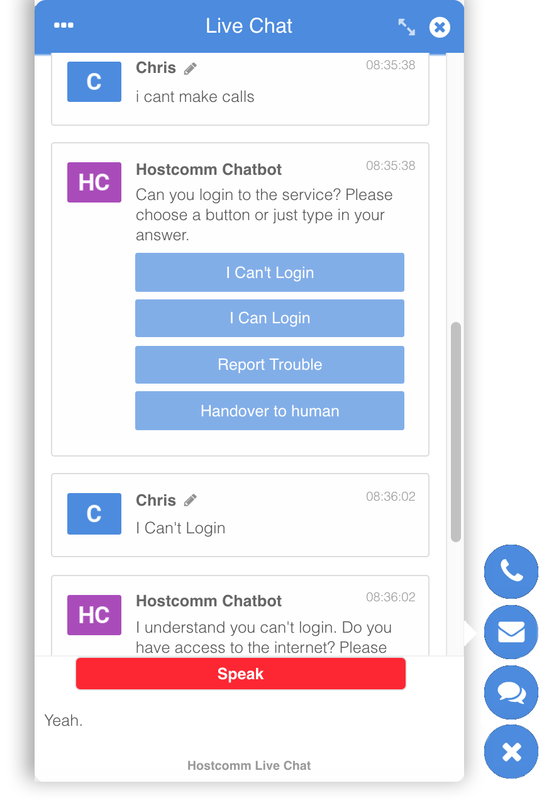 Hostcomm’s omni channel contact features such as chat, chatbots and queue call backs eradicate long queue wait times by giving your clients an alternative quicker way to get what they want. We can integrate with your CRM database and back-off systems and include features like "click to dial" or screen pop of client records. Generate Real-Time reports for campaign, data and agent performance. And our advanced wall boards provide an overview for the whole team. Don't take our word for it, sign up for a 30 day FREE TRIAL and see for yourself! Hostcomm’s omni-channel cloud contact centre will deliver a great, seamless experience for your clients regardless of their preferred touchpoint. By adopting new technology like chatbots and WebRTC you can differentiate your brand and prove that you care about your client's experience. Reduce operational costs by having the same user interface across all of your channels such as your web site, Skype, Slack, Facebook & Twitter. Respond to service problems much more quickly with real time monitoring across all of your communications channels. Extend the life of legacy investments with slick integration to various systems like your SIP PBX, ticketing system and messenger platforms. Increase sales by proactively engaging visiting clients using chat and chatbots 24 x 7 from any channel. Click on the tabs below to learn about more about the features within the Hostcomm Contact Centre that are available to improve your business productivity. Virtually limitless campaigns, lists, IVRs, inbound queues, DIDs, phone accounts, voicemail boxes. Automatic Call recording with advanced call recording search. The agent web application is available in multiple languages. An agent can call clients in succession from a database through a web-client. Display a script for the agent to read with fields like name, address, etc. filled-in. Agent can take both inbound and outbound calls in one session(blended). Start and stop recording an agent’s calls at any time. Schedule a callback with a customer as either any-agent or agent-specific. Faster hangup and dispositioning of calls with one key press (HotKeys). Integrated web-based agent phone included, requires no agent setup. Be logged from anywhere with just a phone, web browser, and an internet connection. Select a Pause Code when they are not active. Control volume levels and mute themselves. View the statuses of other agents on the system. View details for calls in queue that the agent is selected to take calls from. Select and click to take calls in queue from their agent screen. Shift enforcement by day and time, defined per user group. View internal chat users activity. Hosted call recordings are used by all types of businesses. They're a key tool for staff training and can improve agent performance to ensure better call outcomes for your contact centre in the long-term. The option to record calls is available as standard with the Hosted Predictive Dialler Contact Centre service. 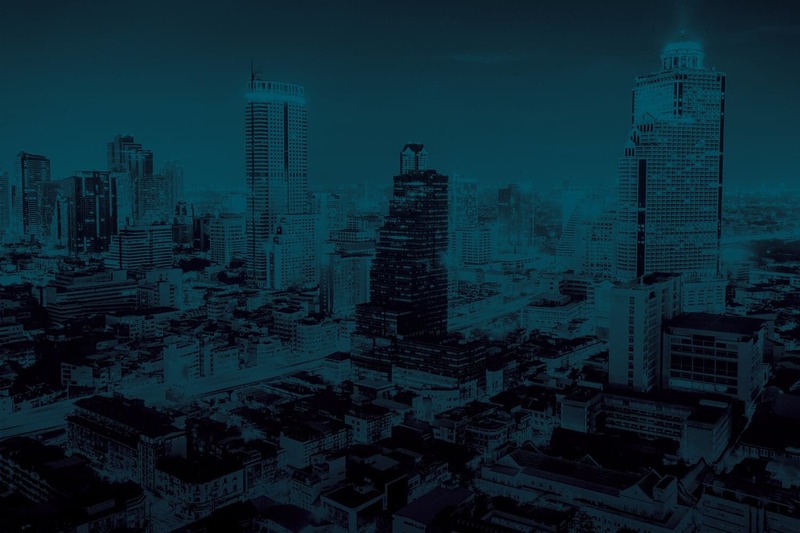 For smaller businesses, it’s an efficient way to avoid additional in-house IT and staffing costs, while larger businesses operating in different locations can benefit from a central hub, wherever their agents are operating from. Hostcomm is one of the first providers of hosted contact centre services in the UK. Established more than 14 years ago, its solution has grown to offer comprehensive omnichannel capabilities with strong AI functionality. Our support and training centre, and all its staff, are based in the UK; with a guarantee of telephone support at all stages of any enquiry and that you will go straight through to a technical expert. Fourteen years’ experience, a multi-mesh network and only the use of top suppliers like BT Wholesale mean one of the highest up-time, call quality and speed rates in the industry.